One of the most difficult life lessons is realizing that some relationships don't last. Friends, roommates, in-laws, even partners change over time. Accepting that becomes a painful process that most of us resist. Instead, you stay in relationships hoping that they'll get better on their own. But that it's not always possible. When a disagreement gets too big to manage, you need options. Leaving a relationship too soon can backfire into regret. Instead, learning the importance of taking a healthy break helps you figure things out when you're not sure what’s next. In this blog you'll learn how taking a break can benefit you and ultimately heal the relationship. 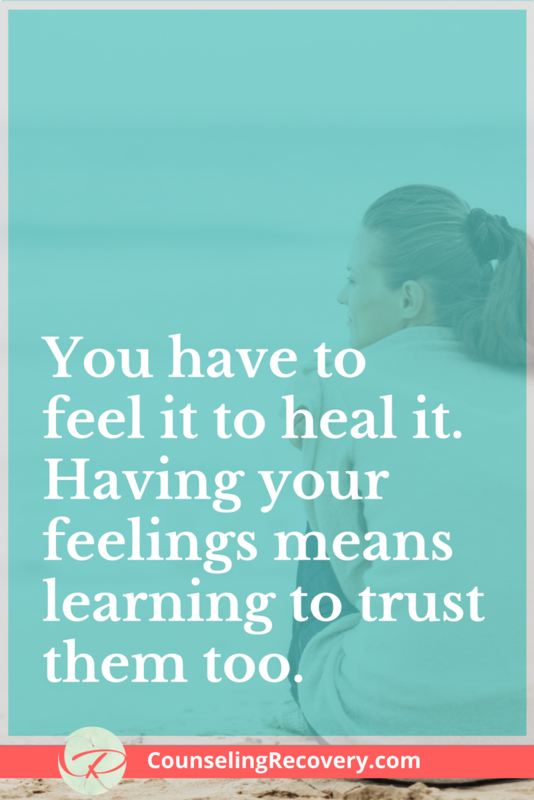 Taking a break from your relationship can trigger lots of feelings. Let the pain be your guide to dissect what went wrong so you can learn from it. You might be tempted to avoid the pain, but that can cause more problems. For more on letting go click here to read 10 Ways to Let Go of Someone You Love. When feelings are denied, relying on substances like alcohol, pot or food to cope can become a major problem. Letting yourself feel it means putting on your big girl (or boy) pants! Find healthy ways to take care of yourself. Expand your support system. Start exercising to stay balanced and release negative energy. Feeling the pain is the only way through it. The hardest part of a separation is feeling the grief. The potential loss of a relationship can throw you off balance. One minute you’re angry and the next you are obsessing over what you could have done differently. This intensity can make you feel a little nuts. The stages of grief are important to recognize. They don’t happen in any particular order which makes them hard to predict. Every relationship offers an opportunity to learn a life lesson. When you miss the lesson, you’re doomed to repeat it. Over time when behavior repeats itself it becomes a pattern. That's why getting into the same kind of relationship is common. Patterns tend to repeat themselves until you get the lesson. Identifying patterns can be a powerful way to understand how you operate in relationships. You can have different patterns for friends, lovers, men, women, etc. For more information on relationship patterns click here to read 4 Steps to Transforming Relationships. As the pain lessens, looking at your own behavior is the next step for growth. Admitting what you contributed in the relationship becomes the turning point for creating something better. When you see the role you’ve played, you have more choices. Repair the damage or address what’s left unfinished. Have you said or done anything that needs repair? Were you critical, demanding or focused on being right? What assumptions are you making that need to be checked out? Are you resentful because you sacrificed your needs for the relationship? Did you do anything in reaction to the situation that caused hurt? Do you have unresolved hurt or resentment that need to be addressed? Being willing to change your behavior starts with a willingness to own it. This builds integrity as you begin the repair process. The Gottman Couples Institute defines a repair as an effort to reconnect after an argument. Basically it's an attempt to acknowledge the hurt and start over. Everyone appreciates a heartfelt apology but sometimes a simple repair is effective too. By making a repair, you’re showing that your partner's feelings matter to you. These messages really help when communication gets off track. For more on repairs click here to read Relationship Repairs. Taking a break is your best option when you need to sort things out. Ending a relationship without understanding your part in it, misses the opportunity to grow! By facing old patterns, you won't have to repeat them. You can use that new awareness to build new, successful relationships - and that starts with you. I’ve created a private resource library including tips like 20 Ways to Detach with Love and 15 Steps to Setting Healthy Boundaries to help you create amazing relationships. Click the image to get access!